Welcome to part 3 for company analysis! In Part 1 and 2, we analyzed the company’s past performance and future expectations. We are now going to switch gears away from the company itself and look at the market in which the company operates and its overall performance against its industry peers. This will be the section in which investors will need to do the most research as the market research data is not easily available. As a reminder, we will be using hypothetical stock “ABC” as our model company. One step that is often missed by investors is to analyze the market in which the company operates. When using the term market, we are referring to both the type of market, (product/services) and the geographical market. Is it a mature market with little expected growth? Or is it a high growth industry with explosive growth ahead? Likewise, perhaps the bulk of the company’s current earnings originate from a mature market, yet future earnings are expected to come from a high growth market. It is equally important to understand the company’s position within their market. Are they a market leader or a new entrant? Who are the major players in the market? Of note, the two factors below must be looked at from a holistic point of view in that they are interconnected. Market Outlook: Given that we are analyzing growth stocks, it is logical that we expect the market to also be growing. One good rule of thumb is to see if the market growth matches the company’s expected earnings growth. It is very important to match the company’s expected growth with the right market. In other words, investors need to determine where the company’s growth is coming from. For a company operating in a single market, this is very straightforward. However, when it operates in different markets, you want to make sure you are comparing apples to apples. Revisiting our model company, stock ABC operates in multiple markets but has recently entered a new services sub-market and geographical market. It is clear based on management discussion that the company expects the majority of future growth to come from these new markets. The services sub-market is expected to grow by mid-single digits over the next few years, which is below the company’s expected growth rates. This could be a red flag for investors. Market Share: A company’s market share is fairly straightforward and is captured as a percentage of the overall market in terms of sales. However, what will a 10% market share tell an investor? By itself, it doesn’t tell you much of anything. It could be 10% of a market which is declining at a double digit pace, or 10% of a market which has plateaued. In such case, growth will have to come from the company capturing a greater percentage of the market. If investors aren’t clear on how the company aims to achieve this, it could be a warning sign. Furthermore, in a declining or a mature market, capturing market share is a time-limited strategyOn the flip side, a 10% share of a market that is growing at a double digit pace is more attractive. In this case, all the company would need to do is maintain their market share and they would grow at a rate of 10%. If the company expects to grow sales by 20%, then they would also need to capture market share.Let’s take a look at stock ABC. It currently has a tiny fraction (2%) of their expected growth sub-market, which is valued at $18 billion. The company expects to meet lofty growth targets by capturing market share from existing players which it has successfully done in its primary market. It has outlined their strategy in how they intend to capture market share, and based on their historical success, investors can have confidence that at the very least, the company has a realistic plan. Criterion – Market Research: Is the growth strategy feasible after analyzing its market? Yes, or No? 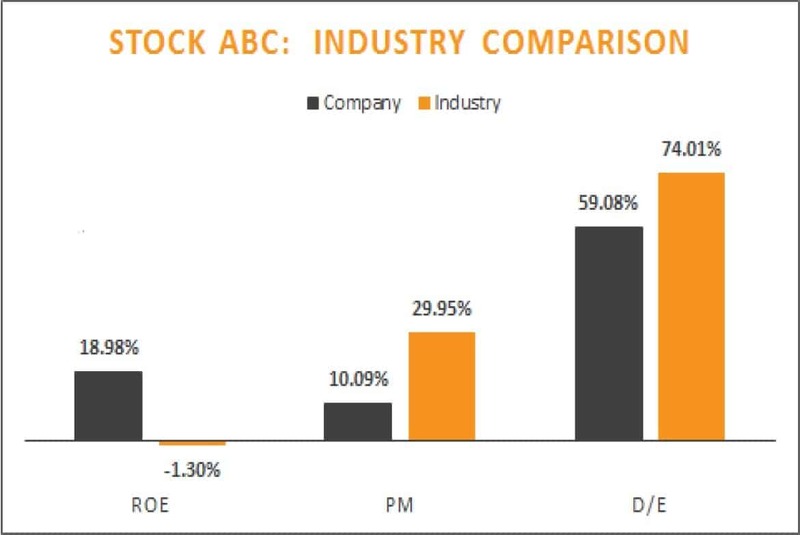 When looking at stock ABC, we saw that although the market is growing, it doesn’t match the company’s growth rate. However, the company has a plan by which to capture a greater percentage of market share. As a result, we can say that the company’s growth strategy is feasible based on our market research. This is the tricky part. Shareholder friendly companies will provide market research information to investors through investor presentations and annual reports. The majority of these documents are available on the company’s website, and if not, will be available through SEDAR. If not available through the company, Stocktrades.ca is an investor’s best friend, as we analyze market data on over 200 companies and individually report on them. If there is a problem with a company’s strategy or a market, we will let you know in our reports! Don’t rush through this process, take your time and make sure you understand if the company’s growth expectations match the strategy for its market. Investors should also take note of the company’s performance relative to its peers. A company who under performs the industry may have a hard time delivering on its growth strategy. Likewise, a company who is outperforming is better positioned to succeed. There are three key industry-wide indicators; return on equity (ROE), profit margin (PM), and debt to capital (D/C). ROE measures efficiency and is a way to determine how many dollars are generated for every dollar of invested capital. PM measures the profitability of the firm. The higher, the better. D/C is a measurement of the company’s financial leverage and capital structure. More debt equals a higher ratio and more risk. Depending on the industry, there may be more relevant or important indicators, but in general these three should give investors a good idea of the company’s performance relative to its peers. Example stock ABC: In the chart below, the company falls short on profit margin, but has a significantly better ROE and D/C ratio. Over the past 3 parts, we’ve spent a lot of time explaining the importance of analyzing the company from varying angles. At this point, you should have a good idea if the company is well positioned to achieve its growth targets. You should be comfortable enough to either add the company to your watch list, or move on to the next company to analyze. What now? All this information is great but it doesn’t tell us if the company is a good buy today. Next up, Financial Structure!